Prince was born Prince Rodgers Nelson on June 7, 1958 in Minneapolis Minn . His father, John Lewis Nelson said: “I named my son Prince because I wanted him to do everything I wanted to do”. Prince’s childhood nickname was Skipper. During his early years, Prince and his sister Tyka developed a keen interest in music which was encouraged by their father. When Prince was seven, he wrote his first tune called “Funk Machine” on his Dads piano. By the time he was ten years old, his parents separated. 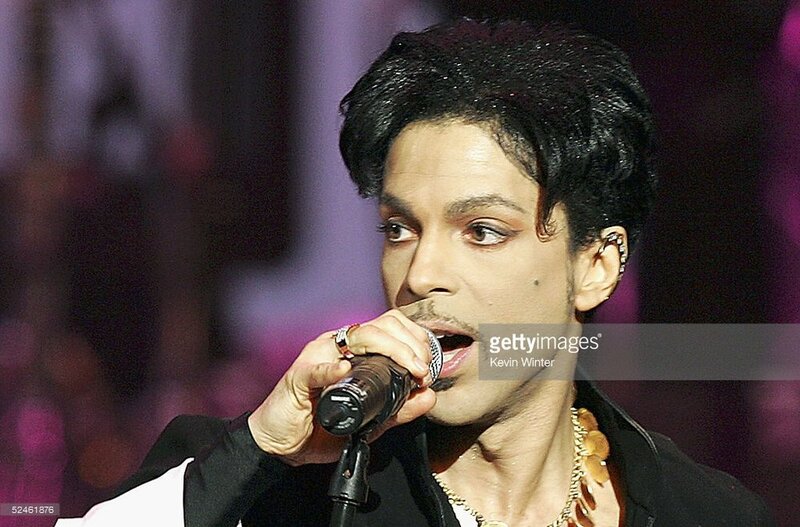 Prince switched homes on a frequent basis following the separation of his parents, sometimes living with his father and sometimes with his mother and stepdad. Finally, he moved into the home of neighbors and befriended their son Andre Anderson, who later became known as André Cymone. Prince and Andre joined Prince’s cousin Charles Smith in a band called Grand Central while they were attending Minneapolis’s Central High School. Smith was later replaced by Morris Day on the drums. Prince played piano and guitar for the band, which performed at clubs and parties in the Minneapolis area. Grand Central later changed its name to Champagne and started playing original music influenced by Sly and the Family Stone, James Brown, Earth, Wind & Fire, Miles Davis, George Clinton and Parliament-Funkadelic, Carlos Santana, Jimi Hendrix, and Todd Rundgren. In addition to his musical life, he also played basketball while in High School. Prince had a wide range of Artist that he was influenced by which led him down a road to musical success. His music integrates a wide variety of styles that includes funk, rock, R&B, soul, hip-hop, disco, psychedelia, jazz, and pop. It was the combination of all those musical genres and his determination that made him the Star he became today. Prince sold over 100 million records worldwide, making him one of the top-selling artists of all time. He has won seven Grammy Awards, a Golden Globe Award, and an Academy Award. He was inducted into the Rock and Roll Hall of Fame in 2004, the first year of his eligibility. Rolling Stone ranked Prince at number 27 on its list of the 100 Greatest Artists of All Time. Prince may be gone but, he will never be forgotten as Backbeatrnb intends to keep his spirit alive and his music everlasting. Rest in peace Prince for the world knows you are with your King.